Ray-tracing is used to examine the accuracy of several well known models for tropospheric delay prediction under varying atmospheric conditions. The models considered include the Hopfield zenith delay model and related mapping functions, the Saastamoinen zenith delay model and mapping function, and three empirical mapping functions based upon the Marini continued fraction form. Modelled delays are benchmarked against ray-tracing solutions for representative atmospheric profiles at various latitudes and seasons. Numerical results are presented in light of the approximations inherent in model formulation. The effect of approximations to the temperature, pressure and humidity structure of the neutral atmosphere are considered; the impact of surface layer anomalies (i.e., inversions) on prediction accuracy is examined; and errors resulting from the neglect of ray bending are illustrated. The influence of surface meteorological parameter measurement error is examined. Finally, model adaptability to local conditions is considered. 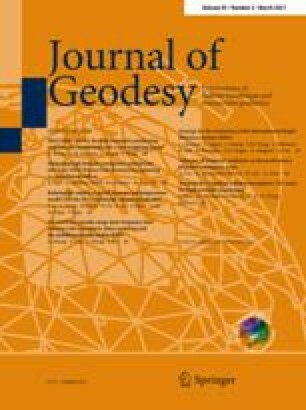 Recommendations concerning the suitability of the models for GPS relative positioning and their optimal application are made based upon the results presented.